I have been searching for the perfect midi skirt for quite a while now. I just do not understand the science behind it: How can it not chop 5 inches off your height while wearing it? Anyway, this is how I styled it. Finding the perfect item can be quite the hassle. The fit, length, style and fabric has to be perfect. It has been an adventure but I have finally found the perfect midi skirt. I find it astonishing how a midi skirt paired with high heels does not make me shorter. Where is the sense in that? I love how pairing one thing with another can create some kind of optical illusion and make you taller than you actually are. I am not complaining, I am just praising it! The Monki bomber jacket has been my go to jacket for a while now. The Nicole bomber, as it is called by the Monki online shop, is made out of a thin fabric. This makes it perfect for the changing season since it is officially fall. There is just something about the print that makes this bomber a bit more special than your average bomber. Make sure to check out the Monki site because they have been hitting the nail with their new collection! Next Post Next post: Get your free Cheap Monday jeans! Aaah je jack is echt super leuk! It’s really perfect! Such a pretty outfit! 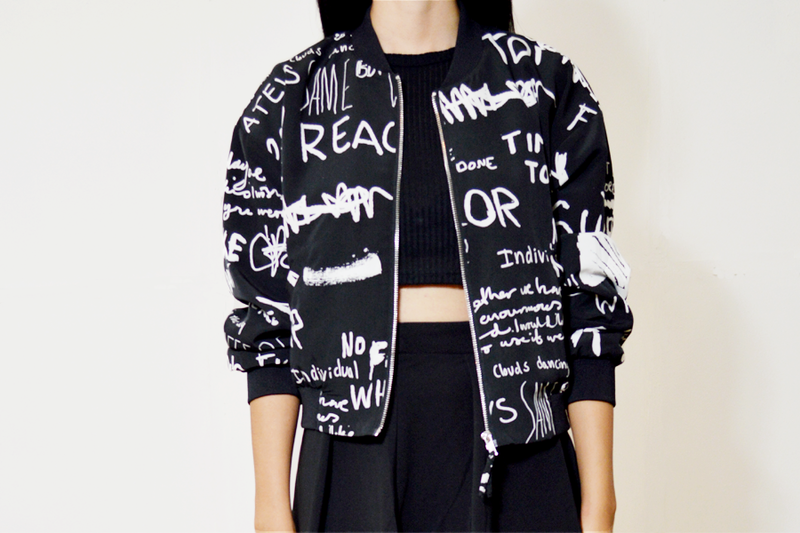 Love the bomber jacket! I had one very similar but in hot pink and I absolutely bloody loved it and wore it with everything!! What a cool look! I totally love the skirt, the cropped top and the bomber jacket! love this look!! very now, very stylish! !